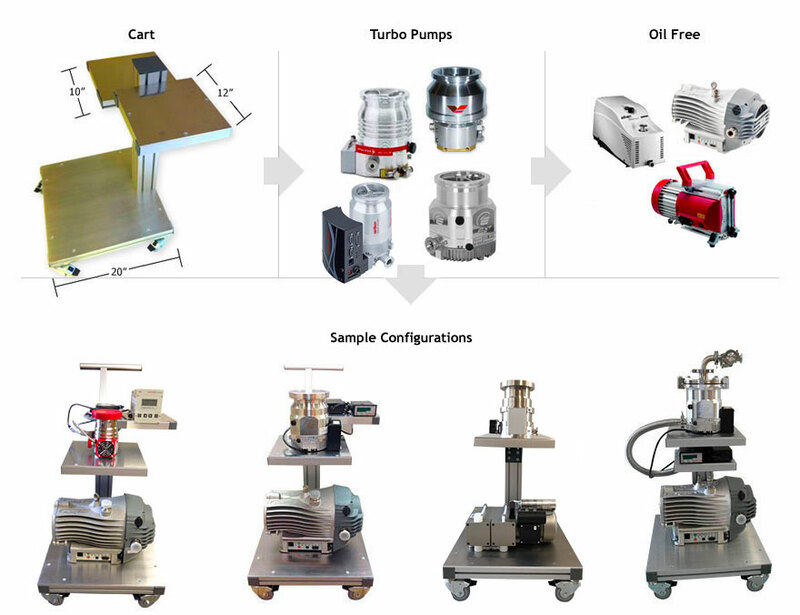 Turbo Vacuum will provide a client’s personal selection turbo cart station with the specific components ideal for fulfilling a portable high vacuum applications. 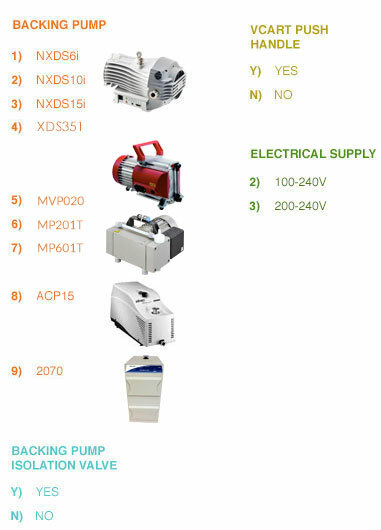 Start by selecting any manufacturer’s turbo pump, oil-free backing pump and optional accessories to create the perfect system. 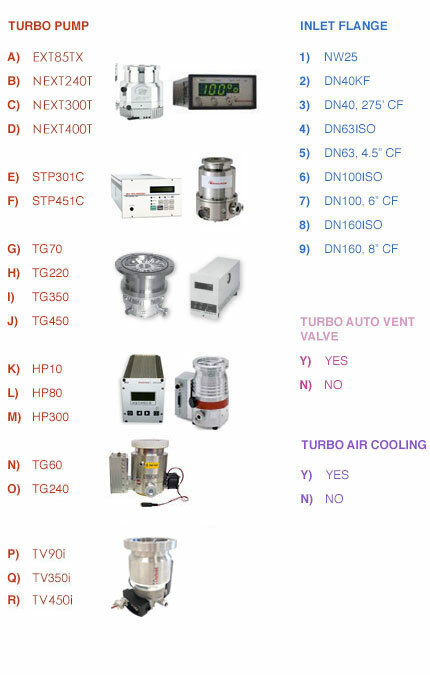 Upon completing selections, Turbo Vacuum will assemble and test the new station with the chosen items prior to delivery.